* ALL SERVICES & ENRICHMENT CLASSES ARE PROVIDED, FREE OF CHARGE. * ABSOLUTELY NO EXTRA FEES ARE CHARGED EXCEPT FOR THE ONE-TIME REGISTRATION FEE. 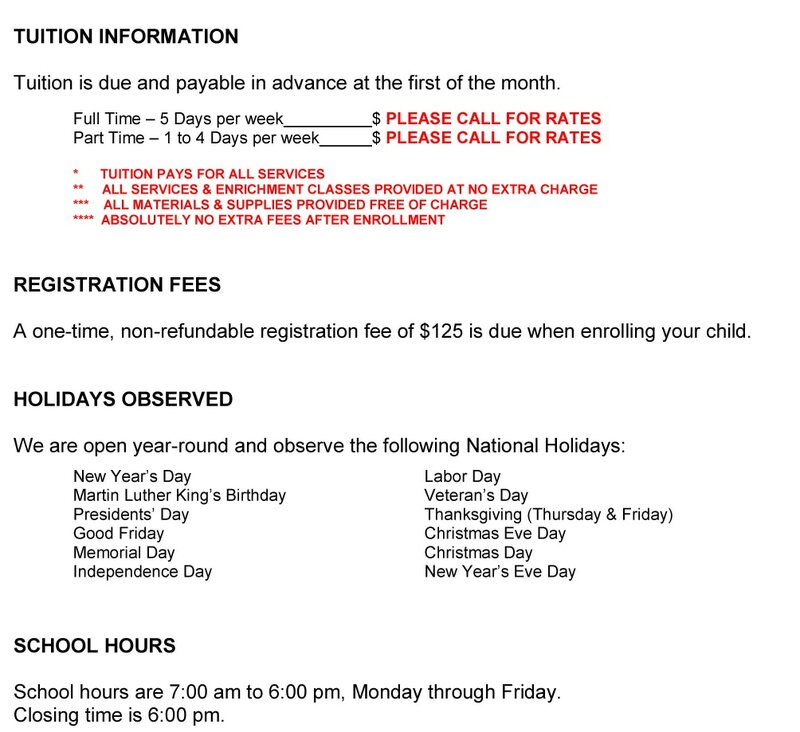 "OPTIONS" CHILD CARE SUBSIDIZED PROGRAMS. for more information on how to qualify.